wow! What a collection. I have to wonder if they just buy them and display them or if folks actually taste and use them? My son would be in heaven!! My guess would have been Chip Hearn. Used to buy sauces from him back when I sold sauces. Glad this guy doesn't live in California. The guy collecting the bottles. You have a life Mike. 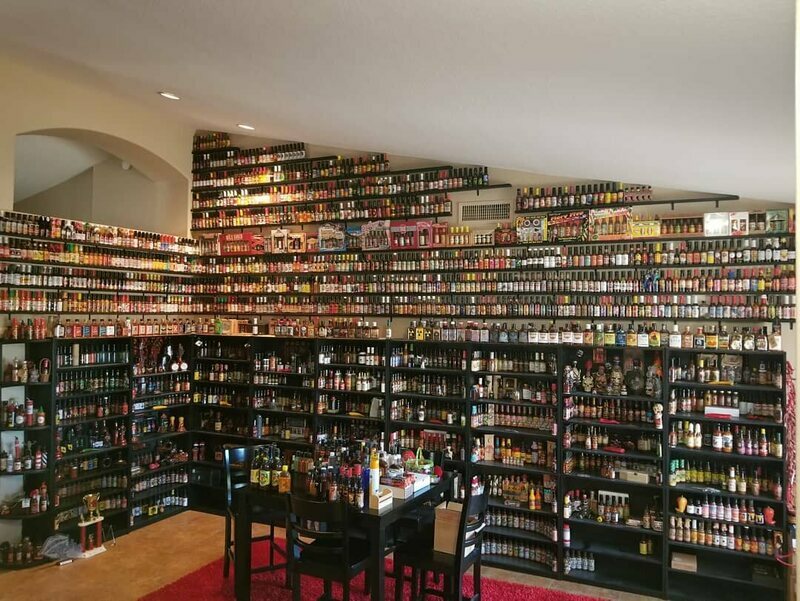 A Massachusetts liquor store advertises that they have one of the largest hot sauce collections that they actually sell at retail. The owners host the radio show, "It's the Liquor Talking". I'm sure that you could find them on the web........and for me to know this I need a life. Hot sauce and Massachusetts sounds like an unlikely combination. 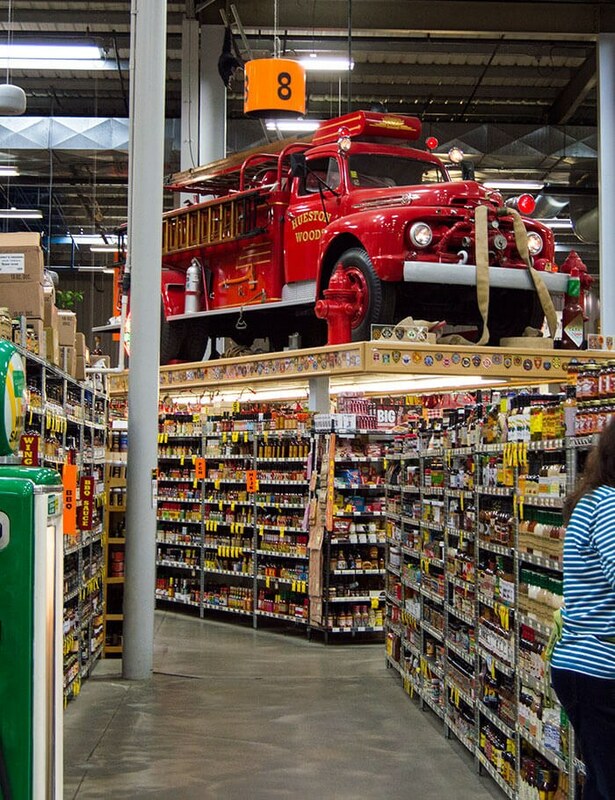 My favourite hot sauce "collection", (which is for sale), is at Jungle Jim's in Cinci. 1500+ brands. I never fail to find something good.